I Love You My Child, I’m Abandoning You is an exciting, human documentary taking place in France during the Holocaust. Ariela’s story plucks at existential strings and focuses a spotlight on our strong needs and basic rights to belong—to a family, to a tradition, and to the nation. Ariela Palacz (as Paulette Szenker) shares her life story with the reader, weaving the past and the present together in an authentic and moving journey between France during the Holocaust, and Jerusalem of today. 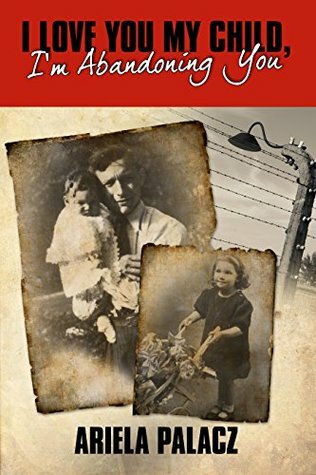 Little Paulette, an excellent pupil surrounded by a loving family, is forced suddenly to confront the cruel reality of the Holocaust of French Jewry, forcibly separating her from her family and causing her to be abandoned by her father. Despite the difficult and shocking experience that she copes with as a young girl during the Holocaust she remains optimistic and naïve, with a thirst for life even in her darkest hours. Ariela’s story honors the memory of French Jews who perished in the Holocaust while simultaneously expressing the will to live, the revival, the optimism, and the bravery that characterize those who survived and the future generations of the Jewish people. Just a child at the outbreak of WWII, Ariella Palacz was born to a Jewish family in France. In an attempt to save the children, the family was separated. Ariella’s mother was hospitalized, as she was unable to care for them. The children were sent off to a remote village, hidden under false identities and raised as Christians. When the war was over, their father came to take them back. He was alone. Ariella’s mother had been killed by the Nazis. 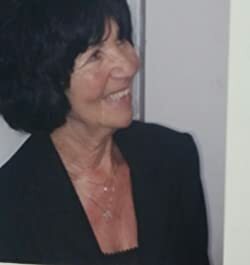 In 1970, Ariella immigrated to Israel together with her husband Eitan and children Yoram and Yael. Her third child – Keren – was born in Israel. She lived in Jerusalem and worked in the Yad VaShem Holocaust museum where she told her story to thousands of visitors from all backgrounds. Ariella was a mother, a grandmother, and a great-grandmother. Ariella passed away in 2017 backgrounds. Paulette is eight years old in France when her parents abandon her and her siblings. Her parents are then taken and killed. 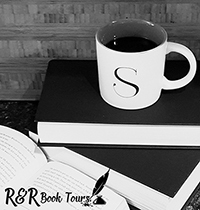 Paulette has to make some tough decisions to do whatever it takes to keep her siblings and herself alive in a bleak period. She does things that takes her years to work through but she manages to survive the Holocaust. Whenever I see a true story about the Holocaust I try to read it. I absolutely hate what happened to the Jews, gypsies, gays, and those unknown that the Nazi’s brutalized, tortured, and killed just for being different. But I read these books to remind myself of the horrors of the world. By reading these books we give credit to those that are gone and keep their memories alive. What better way to honor the dead. This book gets tough to read at times and will break your heart along the way. I commend Ariela for everything she went through. It was equally hard to follow as Ariela worked through the events she lived. But this goes to show how a strong person gets through life. This is one of those books I think everyone should read. It should be right up there with Anne Frank’s Diary. It’s very moving and one that you will need a box of tissue to get through but you will be happy that you read it.